I am Cassandra Snow, a proud queer and feminist tarot reader & theatre entrepreneur out of Minneapolis, MN, USA. I’m honored to be sharing an ongoing series I’m writing called Queering the Tarot with Little Red Tarot readers. 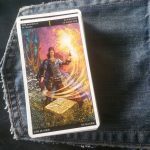 In this series, I take the most common interpretations and manifestations of the cards and discuss ways you might read them for a LGBTQQIA* client—or for yourself. I include polyamorous and kink-friendly querents in this as well. I know from my own experience that those who don’t fit heteronormative boxes frequently have a completely different viewpoint and life experience, and share many things in common that straight, cisgender people do not. It is that understanding that I bring to the tarot so that all people can have a personal, informed reading that goes beyond feeling accepted and into actually being heard and understood. This is one of my favorite cards in the deck because it promises new beginnings, unfailing optimism, and a fresh approach at life. Once we dive a little deeper into the tarot, The Fool begins to take the specific shape of someone just beginning a new journey—frequently this card comes up for people starting school, a new job, or who recently had a series of epiphanies leading to a better life. A few things to keep in mind that are usually true about this card: it is often specific to starting a new phase, it signifies entering this phase optimistically, and is usually indicative that the querant (the person who’s cards are being read) is about to go on a journey full of ups and downs, but that ultimately leads to happiness and success. Now, how can this card relate differently for queer-identified readers? 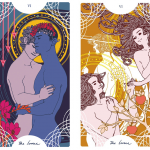 For starters, this card frequently comes up for people who are either considering or who have recently come out of the closet, and this is certainly a major point in most queer people’s lives that the tarot can have a lot to say about. In the case of queering The Fool however, I would also encourage looking a little deeper. Typically queer people, especially those who grew up or still live in unwelcoming communities, battle themselves daily. There is frequently a lot of internalized queerphobia and self-loathing. In this case The Fool may not symbolize coming out at all. Instead, it symbolizes that moment when we realize we are wonderful the way we are–queer or not, that big shift in our minds when we stop hating ourselves, stop being angry, and start living the glittery fabulous life we were meant for. This is brings a sense of lightness, throws us into a brand new phase of life, and certainly lifts that giant burden society tried to throw on us. If you get this card and a card indicating love, your first queer relationship may be just around the corner—or one free from the baggage you’ve dealt with in the past. If you are reading someone young or closeted, it could be a sexual awakening or becoming aware of your true identity. …and finally, if you get a lot of cards indicating family or social life, you are just about to find your queer family – the one you’ve dreamt of since you saw your first gay movie. [Guest post] "Essentially the Hierophant could mean the opposite of it's traditional meaning—that a break and healing from harmful systematic and institutional oppression is possible." [Guest post] "The Lovers' message seems straight forward enough regardless of identity, so why worry about queering it?" 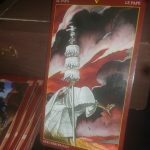 Why is the Alternative Tarot Course so cheap? oooh, love that fool on the left in the first picture! Thank you! It’s from Barbara Moore’s “Book of Shadows; So Below” set! I love it too. Hi Cassandra, great to meet you & I’m psyched about this new series! That first Fool is really great. Which deck is that? Finding oneself and reinventing oneself are a constant journey for queer and especially trans people. I’ve known many people (self included) who go through stages of evolution, peeling away layers of internalized homophobia, transphobia, and just negative societal attitudes, getting closer and closer to their true selves as they go. The Fool really speaks to this journey, that (I think) never ends. 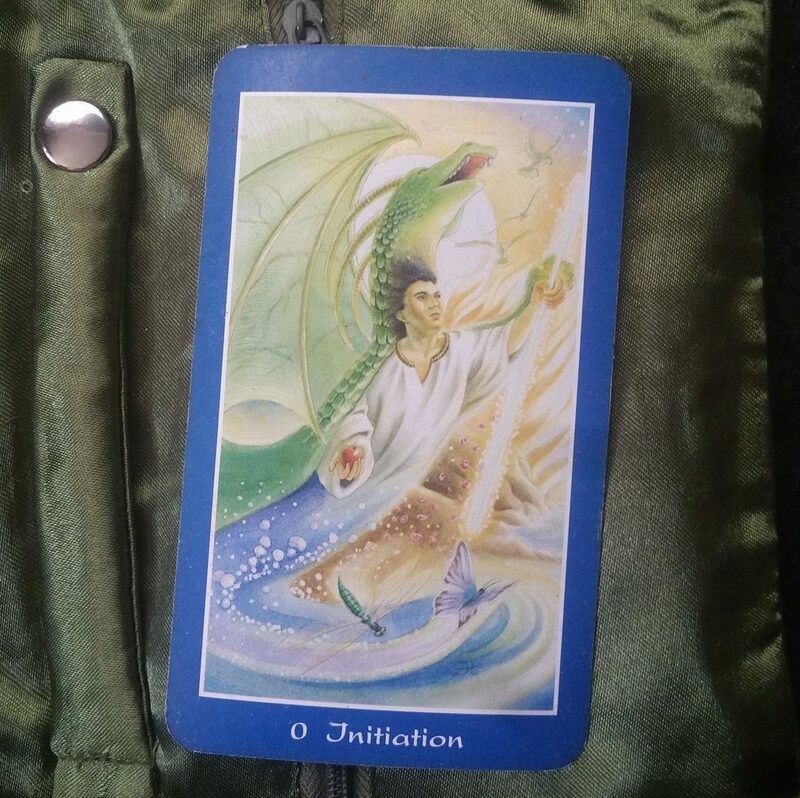 The Fool is zero, it wipes away all the junk, and gives us a blank slate so we can start exploring ourselves…and sometimes we need to have faith in ourselves (because of the homophobic, transphobic world we live in) to do that. It says you’re fine, you’re awesome, forget society, you can do this! Great post! I can’t wait for the next one! Thanks! That card is from Barbara Moore’s “Book of Shadows; So Below” deck. I love, love, love it. It also used to be my most flexible and therefore event-and-client-friendly deck, but it’s been loved a lot in it’s time so it’s stiffened up! Thank you so much for your comment. I really, really love what you have to say about identity and reinvention and am looking forward to speaking with you more as we go along! Oooooooh! I love this and I LOVE the decks that you have. 🙂 I really love the queering up of tarot and really need to get into a better habit of interpreting the cards as such. I LOVED Beth’s tarot course because one of the challenges was to read the “people” cards as the opposite gender of what is portrayed. So when I do a reading, I try to keep that in mind. I love this and can’t wait to see the rest of the series! I’m really looking forward to the rest of your series, Cassandra! I love your emphasis on the Fool and the energies of awakening to our inherent fabulousness and badassery. I was just emphasizing a similar point to my students about how the Fool is about trusting that you have all that you need for the journey ahead. I love how you’ve drawn it back to the action of stepping up in community and the freedom that can come with such a choice. Great post! I really enjoyed this post! I’ve always struggled with the Fool, because in a lot of interpretations of the Fool I’ve seen, people tend to emphasize the negative aspects of this card – the naivete, the impulsiveness, etc. But by thinking about this card through a queer lens, that naivete becomes a necessary hope needed in order to exist as a queer person in this queerphobic, heteronormative world. Very helpful! I actually think this is a REALLY interesting idea in regards to queering it–there’s something to be said for that societal conditioning that the peak of our queer lives is coming, and we approach it as the fool, and then…nope, whoops, still a whole mess of crap to deal with. Thank you so much for your input, and you definitely gave me something to think about. Ugh, that should say coming OUT, sorry. Thanks for writing this! Super informative. I’ve, regrettably, never considered how this card could be read from a queer standpoint, but I really appreciate the insight. 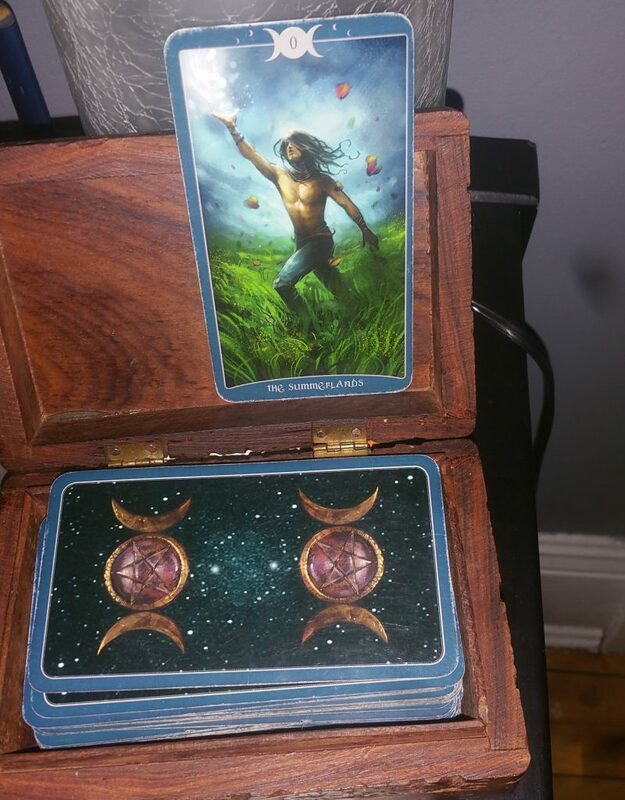 🙂 I want to try and diversify my readings and be more open because I feel this will benefit my clients as well. Thanks again and I’m looking forward to the rest of the series! 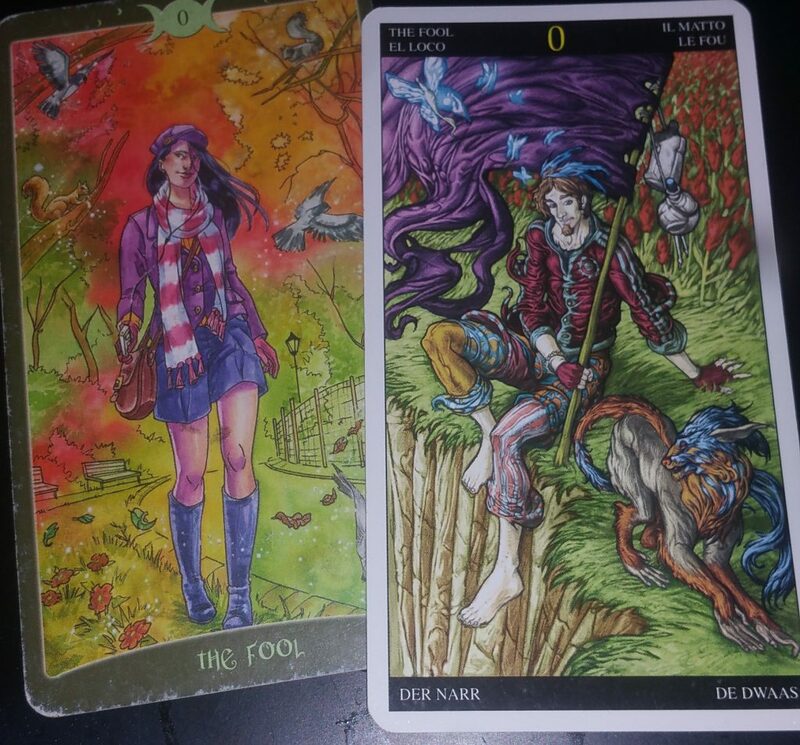 What’s the deck of the Fool card on the right in the top photo? It’s beautiful. That’s the Universal Fantasy Tarot. It’s a beautiful deck for those with geekier interests like myself, but in my opinion the Little White Book it comes with is REALLY confusing and not good for learning on. SO if you know the tarot pretty well, definitely snag one–otherwise I wouldn’t avoid, but would pick up a tarot basics book to go with it.